Polypropylene « Global Market Insights, Inc.
Highlighting the rapid developments across the global flexible foam market, it would be pivotal to state the mention the Germany-based global leader in flexible foams, Armacell. Apparently, the firm has recently opened its new manufacturing facility in Bahrain. According to news reports, the facility has an annual operational capacity of 60,000-cu m of technical insulation foam, in turn providing a wide range of insulation solution for the domestic market including elastomeric insulation & high-density materials for HVAC (heating, ventilation, and air conditioning) systems. Industry analysts deem that Armacell’s move to open flexible foam manufacturing facility will not only cater to the strong product demand in the Gulf region, but will also strengthen its foothold in the global flexible foam industry space. This German company, however, is not the only major flexible foam industry player that’s seizing the growing product demand from myriad applications including packaging, construction, furniture & upholstery, bedding, pillows, carpet cushion, mattresses, consumer goods, and automotive interiors. FRX Polymers Inc., recently for instance has introduced its Nofia non-halogenated polyphosphonates that will be used in UL 94 V-0 high-temp polyurethane flexible foams used in the transportation & electronic industries. For the record, Nofia phosphonate oligomers act as a flame retardant & heat stabilizer in polyurethane flexible foam products and retain mechanical performance. A statement by FRX claims that the Nofia FR enabled the fire retardant polyurethane foam to conveniently handle higher temperatures – with respect to both, the continuous use temperature and peak temperature. FRX’s launch of Nofia is an apt instance validating the significance of polyurethane as a vital type of flexible foam. The material apparently, is characterized by outstanding features such as light weight, lower installation time, enhanced resiliency, improved cushioning, lightweight, increased shelf life, and durability. Elaborating on the extensive deployment of polyurethane for introducing light weightiness in vehicles, it would be prudent to mention that high-density polyurethane foam components can be effectively coated to seem like the original product, and can be manufactured with a closed-cell structure that boasts of being water-tight. Ergo, the component is not susceptible to rotting, delaminating from water intrusion, or warping. PU foam is also equipped with exceptional self-skinning properties, making the product ready for painting or coating. This has consequently increased the deployment of PU foams in myriad automotive and aerospace applications, thereby driving the PU flexible foam market share. Powered by its excellent characteristics, polyurethane foam is widely used across a spate of industry verticals. As a matter of fact, polyurethane dominated the overall flexible foam market in 2018, with a share of over 60% of the demand. Driven by its innumerable applications in lightweight automotive parts, as thermal insulation products in buildings, in automotive interior components, and as cushioning in beddings, upholstery, etc., polyurethane-based flexible foam industry is slated to traverse alongside a highly profitable growth path in the years ahead. 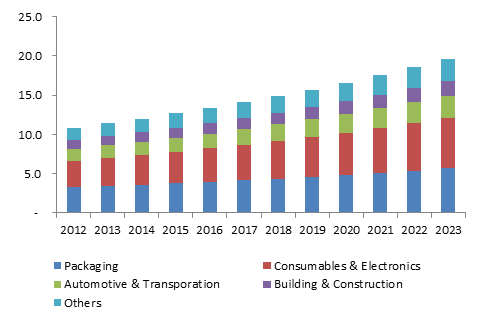 Speaking of the regional spectrum of flexible foam market, the APAC undeniably, has emerged as a forerunner, a feat that can be credited to the expanding automotive and consumer goods industries in the region. As a matter of fact, the continent boasts of increased expenditure on luxurious consumer goods coupled, thereby fueling the demand for memory foams in mattresses and beddings. The region’s construction industry has also been undergoing a robust expansion of sorts, that has considerably increased the demand for flexible foams in the continent. Powered by the expanding hospitality industry, specifically across the South-East Asian nations of Thailand, Singapore, Malaysia, Vietnam, and Indonesia, on account of supportive FDI policies, APAC flexible foam market share is anticipated to depict a commendable rise in the years ahead. Indeed, as per estimates, Asia Pacific led the overall flexible foam market share in 2018, accounting for more than 30% of the demand. As the demand for flexible foams exhibit an incline across a slew of prominent industry verticals, the global flexible foam market is anticipated to gain quite some traction in the years ahead. The industry is also characterized by the launch of highly innovative products by numerous industry contenders. Say for instance, Deacom, Inc., the popular developer of a comprehensive ERP solution, recently concluded an implementation for an innovative PU foam chemical technology manufacturer, Foam Supplies, Inc., with Ecomate®, its patented blowing agent. The new system is expected to provide the technology foundation to manage Foam’s production operations. 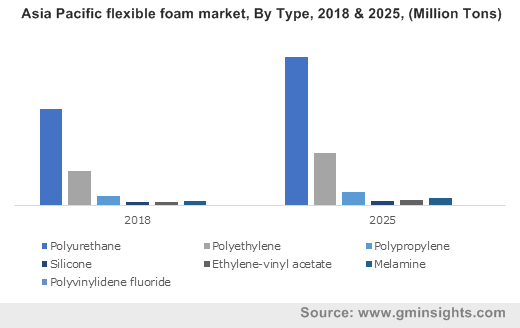 Aided by a ferocious competitive spectrum and a widespread application landscape, the global flexible foam industry size is set to be pegged at USD 65 billion by 2025. This entry was posted in Bulk & Specialty Chemicals and tagged Construction, Consumer goods, Cross linked, Ethylene-Vinyl Acetate, Flexible Foam Market, Flexible Foam Market Size, Furniture & upholstery, Global Flexible Foam Market, Melamine, Non-cross linked, Packaging, Polyester, Polyether, polyethylene, Polypropylene, Polyurethane, Polyvinylidene Fluoride, PVDF, Silicone, Transportation. The well-established Geotextile Market continues to grow steadily due to the surging construction and agricultural sectors worldwide. The cost benefits of using geotextiles over conventional construction raw materials such as stone and sand have become increasingly attractive over the years, which has significantly prompted geotextile industry growth. Basically, geotextiles are geosynthetic materials that have become quite popular in many applications that require stabilization, control, and support. Global Market Insights, Inc., anticipates that geotextile market will continue to expand over the coming years with the ever-growing civil engineering sector. By 2024, the industry is likely to witness the overall consumption of geotextiles crossing 10 billion square meters with a revenue projection of over USD 12 billion. It is important to note that geotextiles are not made up from materials used for manufacturing fabrics such as silk, wool and cotton. Basically, these textiles are synthetic fibers that can be made into porous, flexible, nonwoven fabric. Thus, the prospering geotextile market owes its success to its wide scope of applications such as agriculture, erosion control, pavement repair, road construction, drainage, and railroads. The erosion control application, in particular, has witnessed significant gains as geotextiles help in preventing erosion caused by floods, rainfall, and water encroachment. Geotextiles strengthen dredged soils and help in holding it firmly under the vegetative growth, slopes, and coastal erosion. In consequence, geotextile market from erosion control application will garner substantial profits and will record a CAGR of 10.5% over the period of 2017-2024. Speaking along the same lines, India has been forecast to be one of most profitable business grounds for geotextile market as regards to erosion control applications. In fact, it has been projected that India geotextile industry from erosion control will grow at an annual rate of 12.5% over 2017-2024. Geotextile market in the emerging economies of Asia Pacific will experience profitable growth, with a slew of construction projects. China is set to record a massive demand for geotextiles, as the country countersigns heavy infrastructure investment, mainly in transportation and water management. 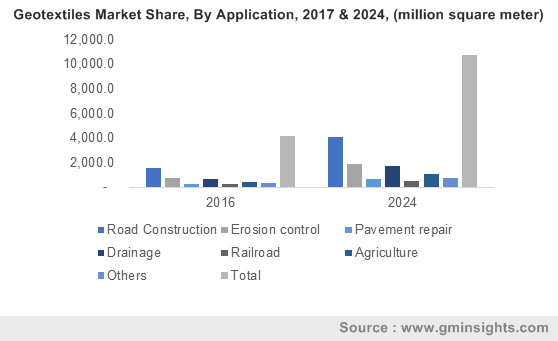 The utilization of geotextiles in road construction applications is also advancing at rapid pace and is projected to raise USD 4.5 billion by 2024. Meanwhile, Europe is another prominent region where geotextile market demand is quite high and is expected to grow at a CAGR of 9% over 2017-2024. Rising construction projects to develop ports, roads, airports, housing, and railways particularly in UK, France, Italy, and Germany signify high product demand in the region. The regional companies are focusing on strategic partnerships to increase their capacity and expand their global reach. For instance, the collaboration between Fibertex Nonwovens and France’s Tharreau Industries in 2012 has helped the former expand its core business in the region to become one of the many prominent European market leaders. Geotextile market encompasses two very versatile products, namely woven and nonwoven geotextiles. Between the two, woven geotextile industry is poised to witness highest gains, owing to its extensive demand in road stabilizing and erosion control applications. These types of geotextiles are mainly constructed from blending and weaving fibers, which gives them excellent tensile strength and hydro filtration properties. The global woven geotextile market is anticipated to witness gains over 11% through 2017-2024. Nonwoven geotextiles on other hand, are one of the most popular options for drainage, road construction, separation, and filtration. They offer exceptional UV finish properties, weather proofing, and chemical resistance, and thus find common usage in ditches and underground drains. This has led to a positive impact on the sales of nonwoven geotextile market, which is set to exceed USD 8.5 billion by 2024 in terms of revenue. Lately, jute based products are gaining remarkable traction as an alternative to synthetic materials. These natural geotextiles are now increasingly used in erosion control applications such as culvert and table drain outlets, river banks & canals, sports field restoration, etc. Prominent geotextile industry participants catering to the regional and the local demand include Mattex Geosynthetics, TENAX, Fibertex Nonwovens, Royal Ten Cate N.V., TYPAR, and HUESKER Inc. 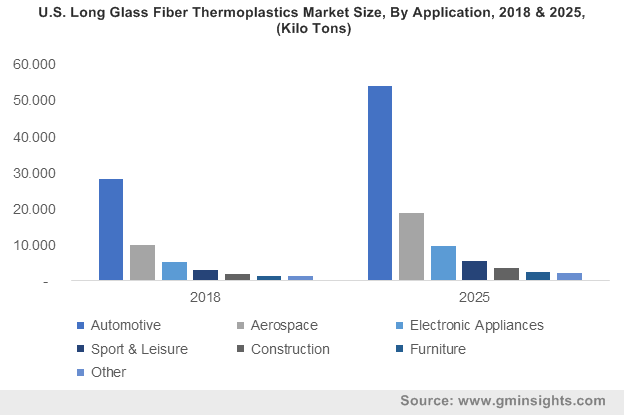 This entry was posted in Polymers and Advanced Materials and tagged Geotextile, Geotextile Market, Geotextile Market Analysis, Geotextile Market Future, Geotextile Market Growth, Geotextile Market Outlook, Geotextile Market PDF, Geotextile Market Price, Geotextile Market Report, Geotextile Market Share, Geotextile Market Size, Geotextile Market Trends, Geotextile Market Update, Polyester, polyethylene, Polypropylene.